The cat or, Felis Catus, is the most popular pet in the world. They belong to the Felidae family that includes not only domesticated cats but also the more dangerous and larger cats out there in the wild. 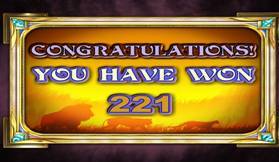 Online slot games are based on films, TV shows or other cultural references and our furry friends are no different. 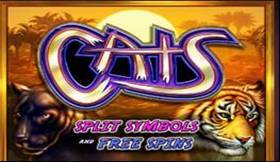 One of the most popular Wagerworks/IGT slot machine games available online is called Cats. 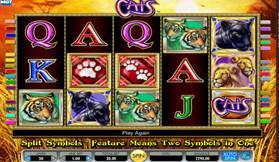 Cats can be played for free or for real money in a downloadable version of the game. There is not a felid missing in this game as the symbols are represented by tigers, lions, leopards and many more feline fancies. Each cat symbol will contain either one or two cats. A symbol with two cats on it counts as double. So if you needed to get five cats across the pay line to win a prize, then a symbol with two cats on it represents two of the five cats that you need to win the prize. There is a symbol called Cats and this is the WILD symbol and can be used to substitute for all other symbols except the diamond paw prints. The diamond paw print is the games scatter symbol. If you are lucky enough to get four diamond paw symbols in any position on the screen you will win a 2x multiplier, 5 diamond paw symbols will get you five free spins and six diamond paw print symbols will get you ten free spins. 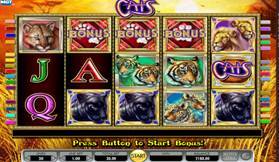 If you get five Cats symbols on an active pay line you will win 10,000 credits. So get online now and play the purrfect game for all feline lovers – Cats! 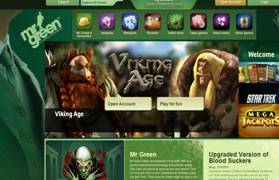 Mr Green Casino offers many IGT Games plus other games. 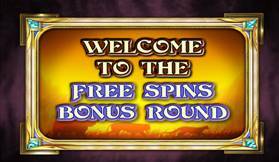 No download is required and you can also play the slots for fun to try them out before depositing your own cash .........VISIT MR GREEN CASINO.